Last day i had an interesting conversation with a friend of mine. Actually we started talking about the self centredness in some people and all those emotion stuffs and some how the topic diverted to the present state of our respective lives. And i was surprised to hear her exclaim in the middle of our conversation , ‘ DO I ACTUALLY BELONG HERE ?’ !!. There ! i have heard it coming from many of my friends over these years and it never used to strike me worthy of any concern. But this time when i heard her say this i couldnt help but think whether she was speaking out loud my thoughts. I mean i too happen to carry this tag of ‘ i have other passions deeper than my profession’ ! to some extent. Many agree to this ‘not- so- pleasant’ fact that all are not lucky to end up in a profession where they really dream to be one day. I asked my cousin one day whether she had wanted to be in her current profession. And she told me she had two options left infront of her – either she had to carry on to the college where she had a seat for certain or she had to wait for another course of her interest but which remained just a possibility. But ultimately she chose on the first one because her parents didnt want her life to hang on mere possibilities !. The same is what happens in the case of a majority lot who end up in professions they dont have even a bit of aptitude for. And she added in the end – ‘ Now i know what made me take up that decision. It is my destiny ! ‘. uhohh. She got me there. Now i need to give it a serious thought. Because this destiny has always remained a hot topic for my ‘ thought lust’ mind! Whatever be it the basic truth is that you need to trust your heart and sometimes your instincts. And the rest lies in wangling your life according to the same. And something i came across today goes like this – ‘There are no dead ends when it comes to learning and personal growth’. Sometimes you might have ended up in a profession which you find least enticing. It might seem to be living some kind of an ordeal to you. But think of this may be we are all entitled to two or more destinies !. okay lets consider what we end up in as our prime destiny and the rest of them the secondary ones. 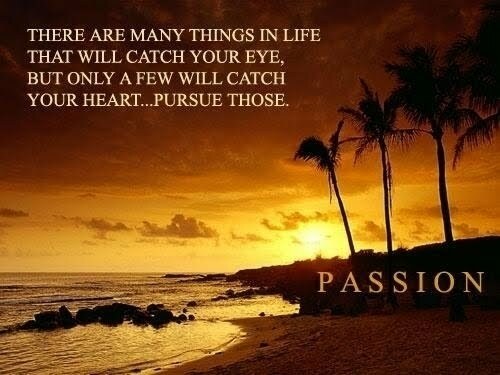 Those destinies should be the things about which we are passionate about. Howzzaat !. This is for people who find themselves not fortunate enough to make their passion their bread earner. But is that some big deal ? Most of the people start loving their profession once they are in the flow. And together with that they sure can conquer their other interests if they are really yearning for those. Just that you cant make it your profession. But then that doesnt matter right !. My friend is a medical student and so is she just crazy about literature which she had actually wanted to dedicate her whole life to . But then she ended up here. But that isnt an excuse or something right to throw her desire to ashes !. And she even told me she is trying her best to find out some outlet for her articles ! Isnt that great ! :)) Thats what you call “PASSION”. And that is what i dream about too. As for me i am in a profession which might be my prime destiny but there are other small dainty destinies waiting out there for me which i am sure i will capture in my hands one day. And those of you who need more out of your life just go ahead and try it out without hesitating. After all thats the whole point of the word PASSION right !! THIS POST IS AN ENTRY AT BLOGJUNTA DREAMS CONTEST JUDGED BY JYOTHI ARORA, AUTHOR OF DREAM’S SAKE .